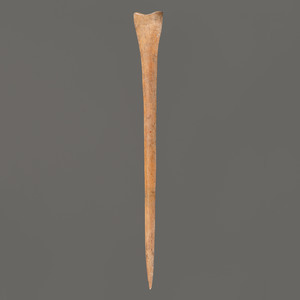 A Large Bone Hairpin, 7-1/2 in. 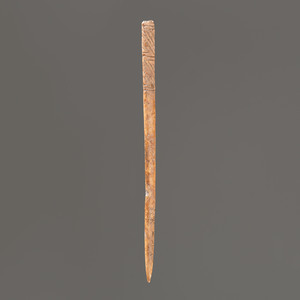 An Engraved Hairpin, 5 in. 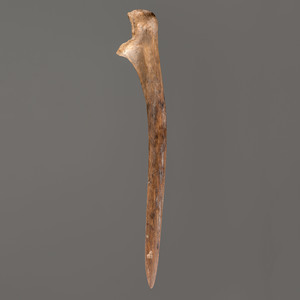 A Large Bone Hairpin, 6 in. 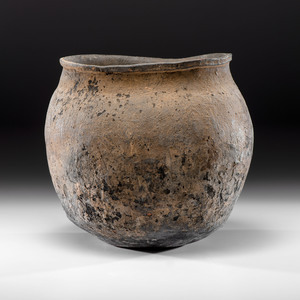 A Large Grit-Tempered Cooking Vessel, 14 x 14 in. 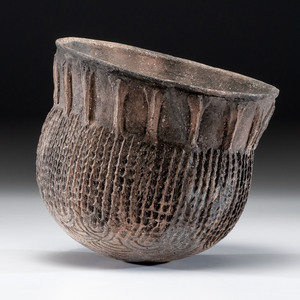 A Mississippian Parkin Punctate Vessel, 9 x 10 in. 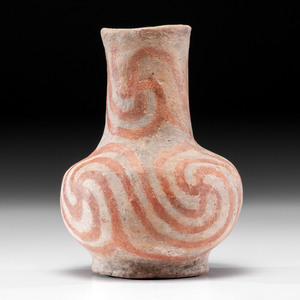 A Nodena Swirl Water Bottle, 9-1/2 x 6-1/4 in. 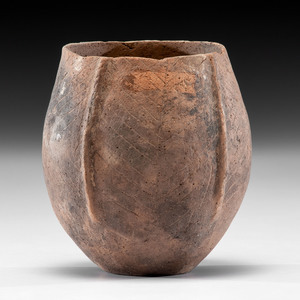 A Hopewell Jar, 9-1/2 x 7 in. 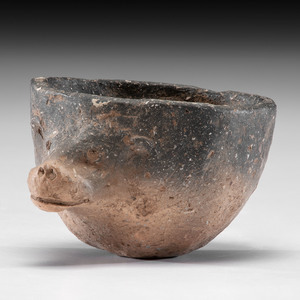 A Miniature Bear Effigy Pottery Bowl, 2 x 3-1/4 in. 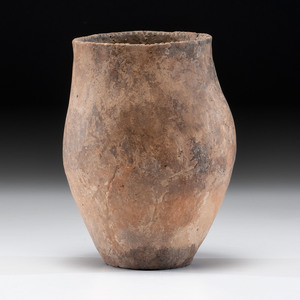 A Mississippian Pottery Jar, 5-1/4 x 4-1/2 in. 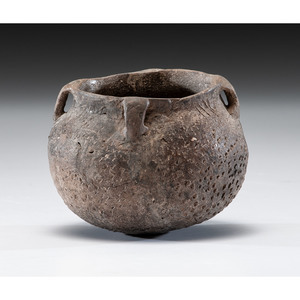 A Mississippian Frog Pottery Vessel, 3 x 4-3/4 in. 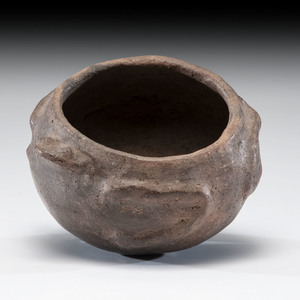 A Parkin Punctate Bowl, Diameter 4 x 5 in. 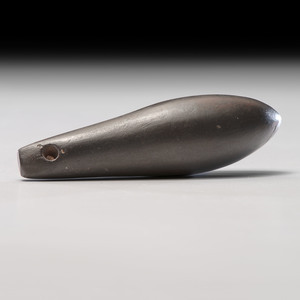 Two Bar Weights, Longest 5-3/4 in. 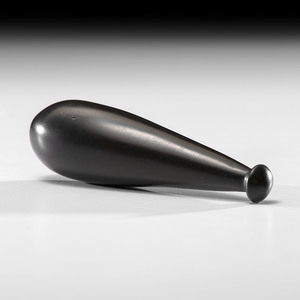 Two Bar Weights, Longest 3-1/2 in. 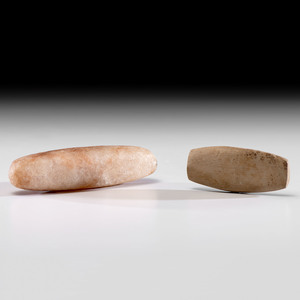 A Polished Loafstone, 2-3/4 in. 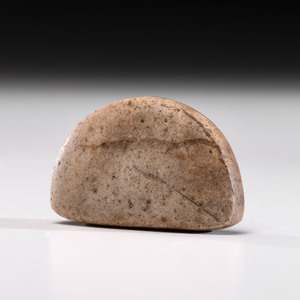 A Quartz Loafstone, 2-3/4 in. 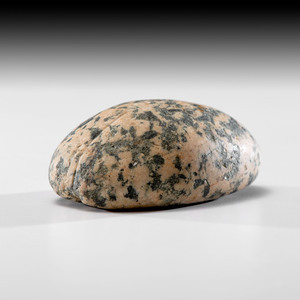 A Grooved Pink Granite Loafstone, 2-1/2 in. 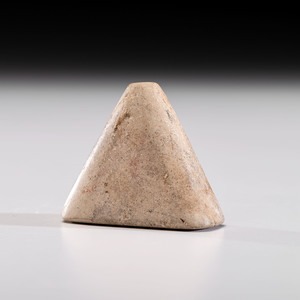 A Pyramidal Limestone Loafstone, 2-1/8 in. 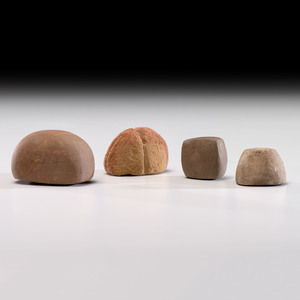 Four Loafstones, Longest 2-1/4 in. 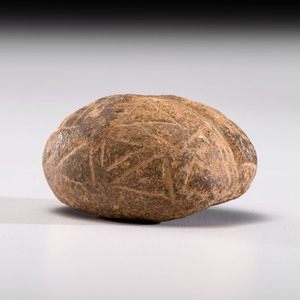 An Engraved AND Grooved Loafstone, 2-1/4 in. 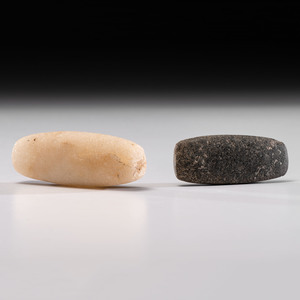 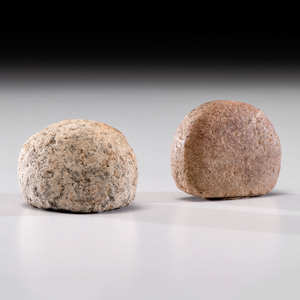 A Quartz Loafstone AND A Granite Loafstone, Longest 2 in. 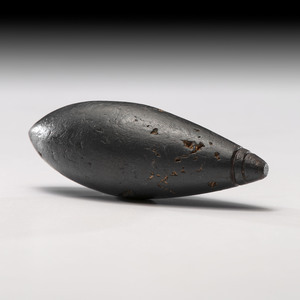 A Northwest Coast Plummet, 4 in. 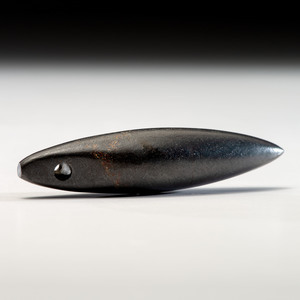 A Drilled Hematite Plummet, 3-3/4 in. 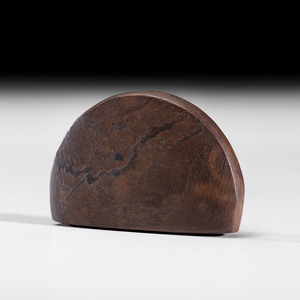 A Double Grooved Hematite Plummet, 3-1/4 in. 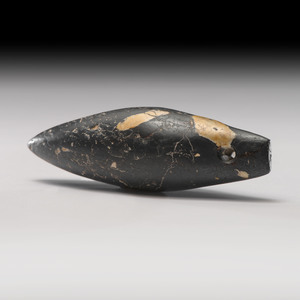 A Drilled Hematite Godor Plummet, 3 in. 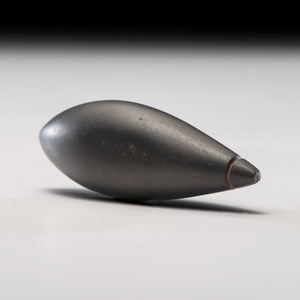 A Grooved Hematite Plummet, 3-1/4 in. 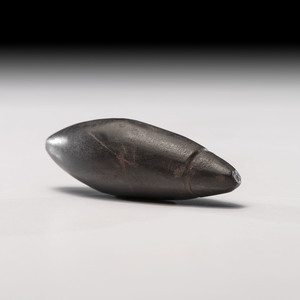 A Grooved Hematite Plummet,2-3/4 in. 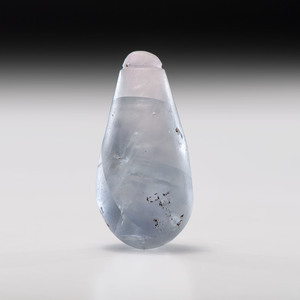 A Superb Fluorite Plummet, 2-1/2 in. 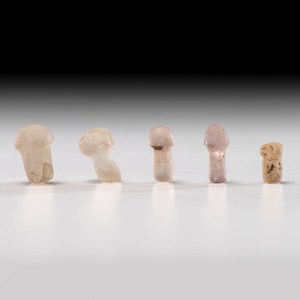 Five Fluorite Ear Bobs, Longest 3/4 in. 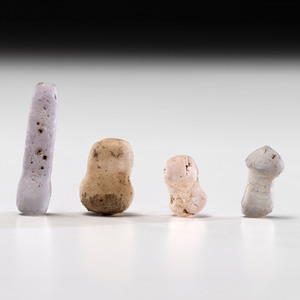 Four Fluorite Ear Bobs / Labrets, Longest 1 in.